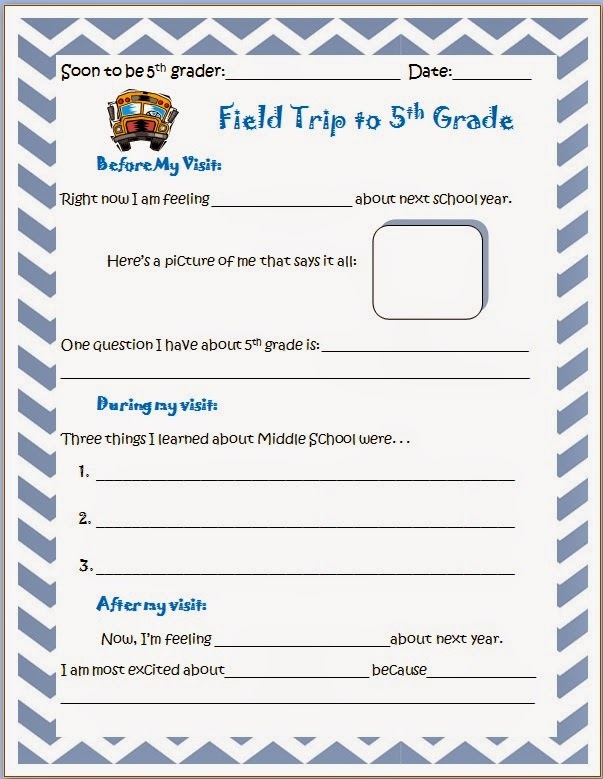 I am starting to plan for our 4th to 5th grade transition. I love this and our 5th graders have a ball showing the 4th graders around the building, and telling them all about middle school. Talk about helping kids find a voice. . .this does it for the 5th graders. Even some of the quietest kids have something to talk about. 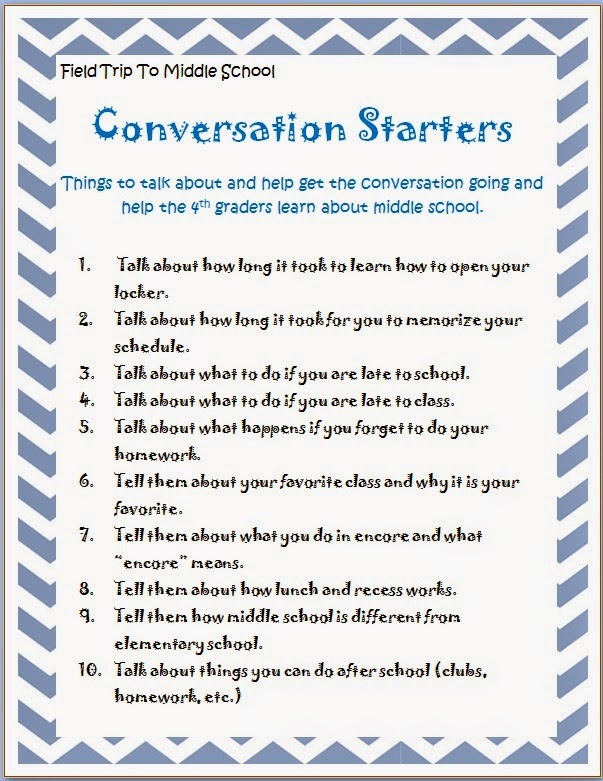 They too, find it easy to converse with the 4th graders and share their experiences and knowledge. 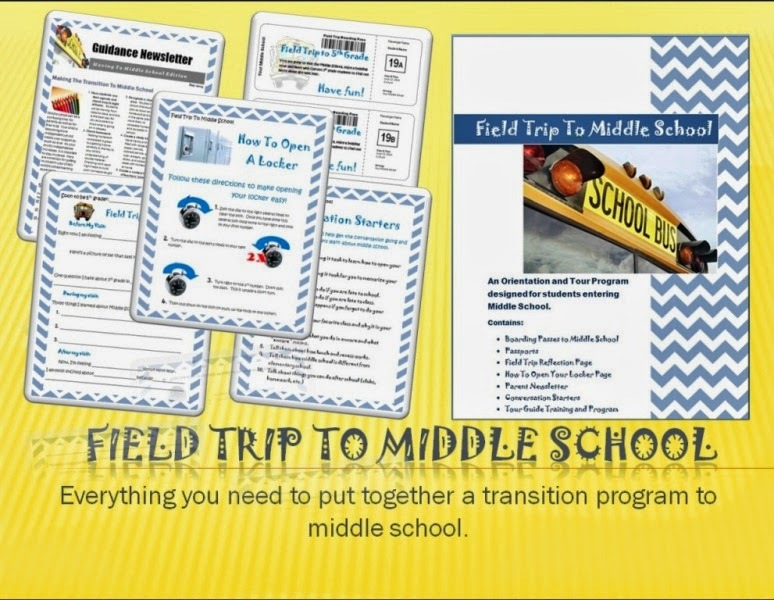 The transition will start by sending over the Boarding Passes and Field Trip Reflection page to each elementary student. 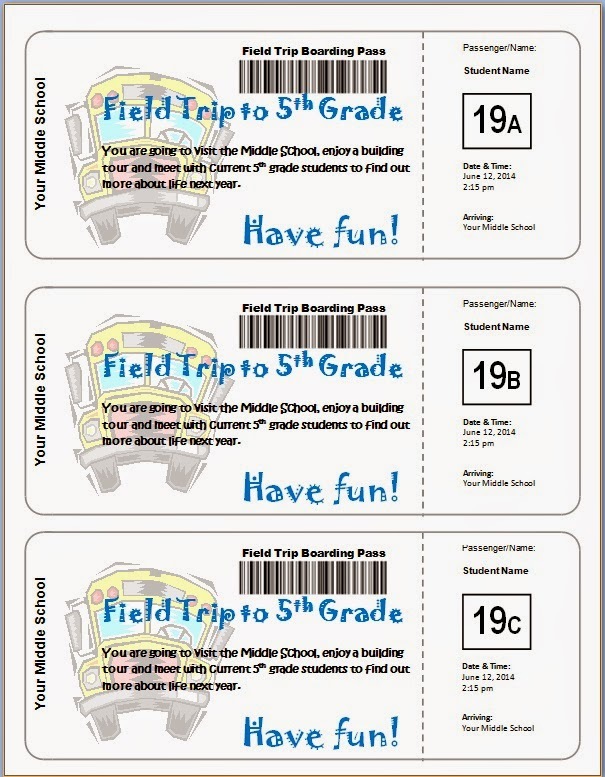 Boarding passes show the date the student will be visiting, and comes printed with their name. Last year's 4th graders were so excited to get their Boarding Pass. When the 4th graders come for a tour, they will get a Passport. 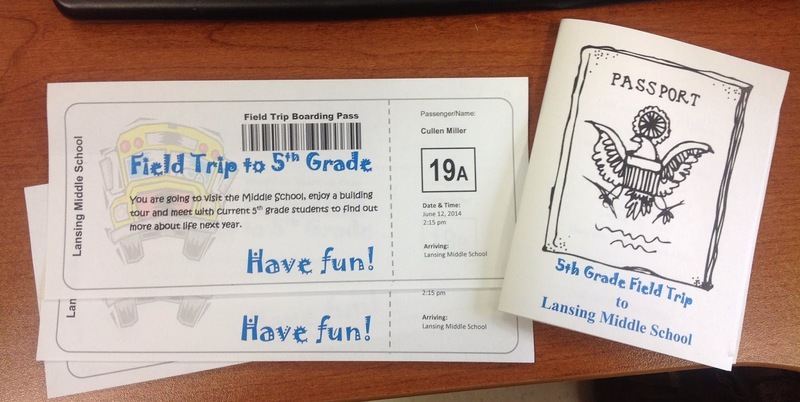 For each location they visit, they will get their passport stamped by one of the 5th grade teachers. Our current 5th graders will lead the building tour and are prepared to answer questions that they may have. 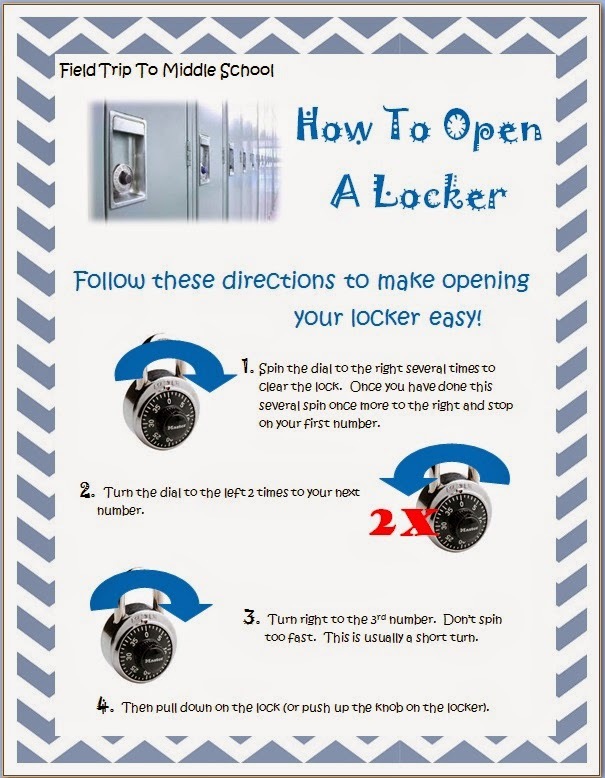 We also have a cheat sheat on how to open a locker and this year, I plan to have locks available for them to try to open. I'll have our 5th graders help with this as well. I'm working on collecting locks right now for this part of our tour. My newsletter to the 4th grade parents is ready to go. 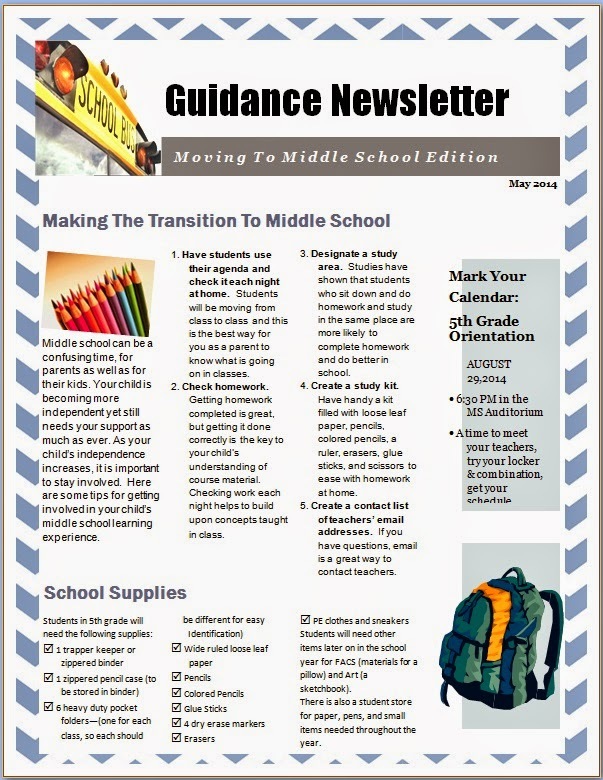 I have helpful tips about starting middle school, information about school supplies they will need, how to see the counselor, and more information about summer orientation for parents. If you are interested, you can get this on my Teachers pay Teachers store.